PALETTE PRO PAINTING & RENOVATION, INC. HONORED BY PAINTING AND DECORATING CONTRACTORS OF AMERICA at the 2018 Painting & Decorating EXPO. 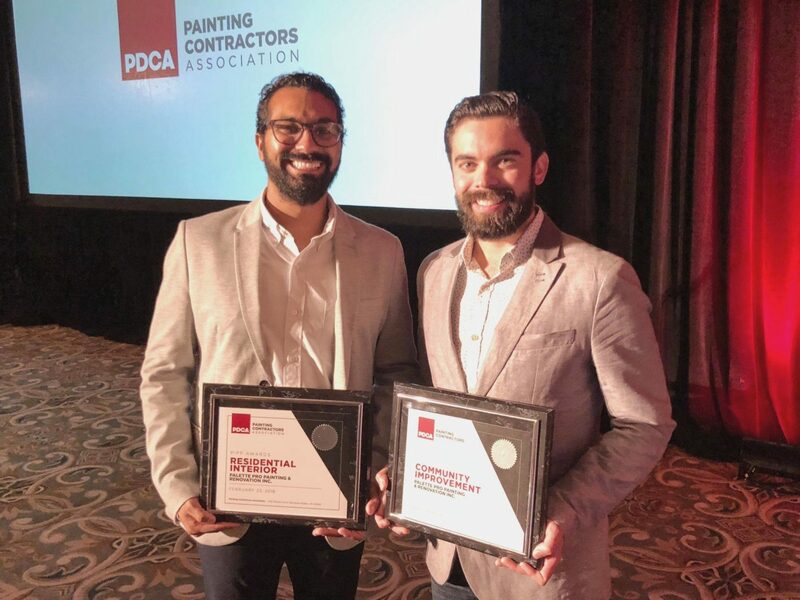 (Galveston, TX – March 2018) Palette Pro Painting & Renovation, Inc. of White Plains, NY was recognized with a 2018 PDCA Picture it Painted Perfectly (PIPP) Industry award from the Painting and Decorating Contractors of America (PDCA). The award was presented during the 2018 Painting & Decorating EXPO, February 21 – 23 in Galveston. The annual awards program is hosted by PDCA and recognizes the best performances in the coatings application industry by contracting company members of PDCA. The PIPP Industry Awards are presented for overall project excellence and superior craftsmanship. Awards were distributed in the following categories: Commercial Decorative, Commercial Interior, Commercial Exterior, Commercial Restoration Exterior, Commercial Restoration Interior, Industrial Interior, Industrial Exterior, Residential Decorative, Residential Interior, Residential Exterior, Residential Restoration Exterior, and Community Improvement. Palette Pro Painting & Renovation, Inc. won an award for the Residential Interior category for their exceptional work and attention to detail for work done on repainting a 2008 home that required a high level of skill in order to preserve the integrity of the home. The Painting and Decorating Contractors of America serves the coating and wallcovering industry with standards, education, training, advocacy, and best practices essential to member success. For more information, please call (800) 332-7322 or visit www.pdca.org.